Michelle’s multi-jurisdictional work includes helping companies comply with the GDPR as well as issues relating to marketing, employee privacy, data security, and cross-border data transfers, including Standard Contractual Clauses and Privacy Shield. Her domestic experience includes counselling clients on obligations under CAN-SPAM, COPPA, HIPAA, TCPA, VPPA, Section 5 of the FTC Act and a variety of state laws. Michelle also routinely drafts privacy notices and disclosures, negotiates privacy and security provisions in vendor agreements, and conducts due diligence of privacy and security issues in mergers and acquisitions. In addition, she guides clients through responding to security incidents, including investigation, remediation and notiﬁcation. The law school's Center for Health Policy and Law, Center for Law, Innovation and Creativity (CLIC) and New Markets program are joining forces to launch a Lunch & Learn Speaker Series aimed at increasing student access and engagement with graduates and practitioners in non-traditional legal roles. 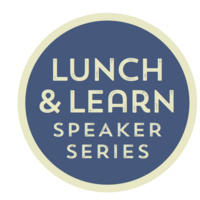 Monthly lunch conversations will take place throughout the academic year and will connect to broader initiatives that the School of Law is establishing to expand its cooperative legal education program and post-graduate opportunities for students. Students can sign up for individual or group advising sessions with Mr. Blackadar following the event by emailing Rhonda Rittenberg, r.rittenberg@northeastern.edu. Space for these sessions is limited.